The following was previously published in Educational Technology. Osguthorpe, R. T., Osguthorpe, R. D., Jacob, W. J., & Davies, R. (2003). The Moral Dimensions of Instructional Design. Educational Technology, 43(2), 19–23. Anyone who has worked extensively with instructional design models should not be surprised at such an extreme application of their principles. The models are grounded on what Jackson (1986) has called the “mimetic” tradition, which “gives a central place to the transmission of factual and procedural knowledge from one person to another, through an essentially imitative process” (p. 117). Mimetic instruction usually includes five steps that are hauntingly similar to the ADDIE model: (1) test, (2) present, (3) perform/evaluate, (4) reward correct performance/remediate incorrect performance, and (5) advance to the next unit. But there is another way to frame education: Jackson (1986) calls it the “transformative” tradition. Rather than adding knowledge to a student’s brain—the goal of mimetic instruction—transformative teaching attempts to change the student in a more fundamental way (see Cranton, 1994). In this tradition, students change the way they see themselves in relation to others and to the world around them. In transformative education a teacher cares for students in their wholeness. The teacher is concerned not only with improvements in test performance, but with improvements in character. 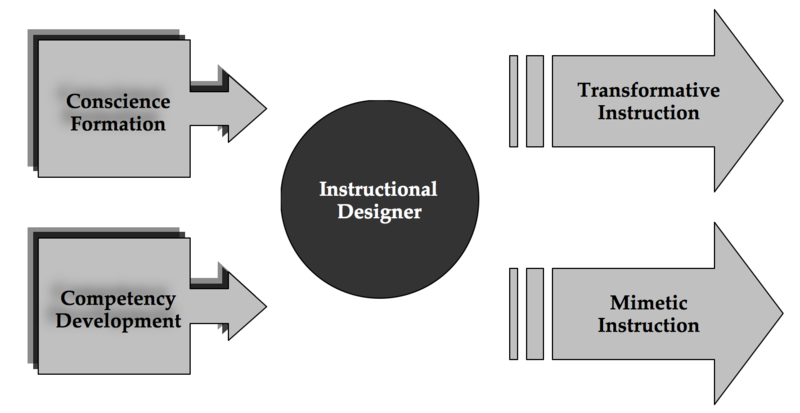 So what if we replaced the word teacher with instructional designer? Because instructional designers are usually not present when students are learning, should they be satisfied with performance as the sole criterion for success? Can they ignore the broader, more fundamental needs of their students—the transformative needs? To address these questions, we will first present a case for viewing instructional design as a moral endeavor. Next we will offer a framework for discussing the moral dimensions of the profession. Finally, we will discuss ways the framework can be used to improve the practice of instructional design. In each section we cite data from studies that we are currently conducting. In one study, 86 college students and 27 sixth graders reflected on and reported on their most frustrating and most fulfilling learning experiences. In another study, in depth interviews were conducted with 9 instructional designers asking them to reflect on their experience in designing online college courses. In order to make the class testable, the professor focused on banalities that would easily fit a multiple choice format. The end result was that I binged/purged a lot of nonsense that I will never use in my life, rather than coming away with significant insights. The course this student was evaluating clung firmly to the mimetic tradition of transferring facts from computer screen to student, and at least for this student the course failed to accomplish even this. So how can instructional designers avoid creating courses that do not result in important student learning? We propose that just as the fields of teaching and teacher education are beginning to embrace moral dimensions of their practice, so should instructional design. Why would we make such a recommendation? For two reasons: (1) Instructional design is as much a human endeavor as face-to-face teaching, and all human endeavors are moral by nature, and (2) the more instructional designers focus on the higher or deeper dimensions of learning and teaching that are ensconced in moral principles, the more likely transformative learning will occur—both for the student and for the instructional designer. Before presenting our framework for the moral dimensions of instructional design, we will explain what we mean by the word moral, or more accurately, what we do not mean. First, we are not considering professional ethics as included in the book Instructional Design Competencies: The Standards (Richey, Fields, & Foxon, 2001). Every worthy profession has ethical codes of conduct. 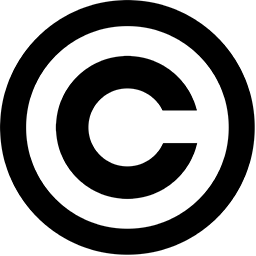 For instructional designers, these standards ensure that client and societal needs and rights are not violated: e.g., instructional designers will not plagiarize others’ work. Although these standards have clear moral implications, they have little to do with the moral dimensions we refer to. Second, we are not suggesting the direct teaching of virtues (e.g., slipping a little lesson on honesty into the online accounting course). Our use of the word moral emphasizes neither ethical codes of conduct nor direct teaching of virtues; rather we wish to focus on the ways in which instructional designers conduct and view their work in relation to those who will use their instructional products. Thus the practice of designing instructional interactions becomes a moral endeavor (see Hansen, 2001). Our framework provides an alternative lens through which the practice of instructional design might be viewed. It is grounded primarily in moral and educational philosophy rather than in behavioral psychology. The framework does not prevent designers from relying on extant models and theories; it simply encourages designers to examine more carefully how these theories relate to the higher, transformative purposes of instruction. As shown in Figure 1, an instructional designer must develop traditional competencies, as Richy, Fields, and Foxon (2001) have recommended. Such competency development, we believe, can lead to effective mimetic learning for students. The more proficient the designer is in all 23 stated competencies, the more likely students will master the intended learning goals. However, we suggest that there is more to instructional design than mastering 23 competencies. We believe, as does Green (1999), that conscience formation transcends the learning of specified objectives. In his book Voices: The Formation of Conscience, Tom Green asserts that unless teachers focus on conscience, they will never reach the highest goals of education. Conscience of craft. Green (1999) identifies five different types of personal conscience. We will briefly describe how each conscience relates to the instructional design profession. The conscience of craft refers to one’s desire to adhere to often unstated but overarching standards of one’s profession. While working on a piece of sculpture, the artist strives to meet the standards of good art. Sometimes these standards have been made explicit, other times they are more illusive, but nonetheless powerful in directing the sculptor’s work. Comparing her work to the most respected works of art, the sculptor constantly strives to meet the highest standard—not because the piece will generate more profit, but because the sculptor desires to be a good artist. Conscience of membership. The conscience of membership is closely related to that of craft. An instructional designer might ask, “What does it mean to be a member of this profession? What must I live up to? What do I owe my profession?” Each profession has its norms, its acceptable modes of conduct. One might argue that while instructional design as a field has generated norms, these norms are not as strong as they might be. And this weakness could be a result of designers not construing their work as having moral aims. We had a manuscript and we just started building things and we were literally finishing lessons the week before they were supposed to be going to the students. We recognized that it was just not a successful mode. In fact, I think only one-third of the students who took the course indicated that they would take another online course. Conscience of sacrifice. Green (1999) describes the conscience of sacrifice as “truth telling and promise keeping.” This conscience causes a person to act on more than simply self-interest. Green argues that an educator must perform acts that “fall beyond the limits of mere duty. Any perfectly gratuitous act of caring or kindness aimed at the good of another has this characteristic.” (p. 93) When asked if she ever went beyond the requirements in the course, a college student responded, “And why would I want to do that? Do you think I’m crazy?” Green might say that this student’s conscience of sacrifice was not very well developed. In contrast another student in an online course completed not only all of the requirements but contributed to the online discussion three times more often than the average for the class. In a class of 53, students on average accessed the discussion board 152 times, while this student accessed it 421 times. And the quality of her contributions was clearly better than most. The conscience of sacrifice applies equally to the designer. Is the designer totally honest with the rest of the design team, with students who pilot the course? To what extent does the designer act out of concern for those who will experience the instruction, as well as for those who are working on the team? Okay, stop right there; you’re not being realistic. Instructional designers might enjoy acting on moral instincts of caring, of sacrificing, or promise keeping, but they are under constant pressure to produce—to deliver a product, and you can’t ask them to listen to these voices of conscience when they hardly have time to meet with the subject matter expert. Our response to such criticism is that we recognize the constraints on designers, as on all educators, to ignore the deeper, more far-reaching aspects of their work. But that is actually the point. The more one ignores these fundamentally moral aims of one’s work, the less effective will be the resulting product. Are the voices of conscience that Green proposes too lofty? We think not. We argue that the field needs to reach deeper and higher at the same moment if the discipline is to continue to develop in appropriate ways. Conscience of memory. Green speaks of the conscience as a way of drawing upon one’s past, of building on the traditions that are unique to an individual. He calls this type of memory “rootedness.” Humans, he argues, have a powerful need to be rooted: to know where they came from and what those before them were like. This seems to be an especially neglected type of conscience in instructional design. Although the history of the field is short, the past is often seen by new students as irrelevant. Some question the need to study what instructional designers were doing before the internet was created. And yet there is much in the history of the field to inform the present, much to propel the discipline in new directions. The conscience of memory also suggests that instructional designers need to draw more on who they are as individuals. Such a stance argues for assigning instructional design projects carefully, making sure that designers can draw upon their own unique strengths, talents, and interests, as they design a new piece of instruction. And students need to have ways of sharing who they are and how their own desires, goals, and experiences relate to the topic being learned. Conscience of imagination. The conscience of imagination speaks to one’s creativity, one’s ability to try something for the first time, one’s capacity to envision a new way—in short, to lead. Whether they like to think of themselves in this way or not, instructional designers are leaders. They are charged with improving learning and teaching. Simply perpetuating an acceptable, but barely effective way to teach or train is not satisfactory work. Instructional designers must be imaginative; they must avoid seeing themselves as technicians hired to produce a preconceived instructional product. Rather they must be prepared to suggest alternative approaches that their clients may never have considered. To do this, they must have a well-developed conscience of imagination. Similarly, the students who experience the instruction produced by a good design must be stretched to think in new ways. As Maxine Greene (2000) has explained so eloquently, releasing the imagination of learners is the primary aim of good education. We assert that for instructional designers to release the imagination of others, they must be working in ways that improve their own imagination. So how would instructional designers actually use the framework to improve their practice? Our response is quite simple: through reflexive judgment—the act of differentiating what is right and good from what is not (Green, 1999). In Green’s theory, reflexive judgment is the essence of conscience formation. The more a person learns how to make wise judgments based upon reflective thought, the more the person will develop the consciences of craft, membership, sacrifice, memory, and imagination. By the fifth grade, I was [still] struggling with reading, and we had the wonderful—though in my memory not so wonderful—SRA kits. In our class, the teacher put the kits in front of the room. The levels of complexity of reading were [designated] by color. And, of course, we knew our colors. If you were able, you used the brown readers, if you were not able, you used the purple readers. It was to my great shame . . . because I was so shy, to go to the front of that class and pick up the purple. It was difficult—[there was] humiliation associated with it. (personal communication, Patti Harrington, October, 2001). Even though this superintendent was recounting her story over 30 years later, the recollection still brought with it significant emotion. Perhaps the label “purple” was like the label “defective” used by the director of training we cited earlier. We do not believe that the designers who created the color codes for SRA kits intentionally tried to humiliate children any more than the director of training intentionally tried to humiliate employees. But that is precisely the point: Instruction leads to unintended results, and without careful reflection, those results can harm learners. Although the SRA designers and the director of training may have reviewed performance data, they were likely not reflecting on the more subtle moral effects of their design decisions. And these moral effects, we assert, are more far reaching than performance data alone. These are the transforming effects, the effects of instruction that endure. And if designers want to create instruction that will have positive rather than negative enduring effects, we believe that they will need to focus on the moral dimensions. They will need to engage more often in reflexive judgment, a kind of reflection that leads to personal transformation for both the one who teaches and the one who learns. Cranton, P. (1994). Understanding and promoting transformative learning. San Francisco: Jossey-Bass. Fenstermacher, G. D. (1990). Some moral considerations on teaching as profession. In J. I. Goodlad, R. Soder, and K. A. Sirotnik (Eds.) The moral dimensions of teaching (pp. 130–151). San Francisco: Jossey-Bass. Gordon, J., & Zemke, R. (2000). The attack on ISD. Training 37(42), 42–53. Green,T. F. (1999). Voices: The educational formation of conscience. Notre Dame, IN: Notre Dame Press. Greene, M. (2000). Releasing the imagination: Essays on education, the arts, and social change. San Francisco: Jossey-Bass. Hansen, D. T. (2001). Exploring the moral heart of teaching: Toward a teacher’s creed. New York: Teachers College Press. Osguthorpe, R. J., & Osguthorpe, R. T. (2001). Teaching and learning in virtuous ways: A framework for guided reflection in moral development. Paper presented at the annual meeting of the American Educational Research Association, Seattle, WA. Palmer, P. J. (1993). To know as we are known: Education as a spiritual journey. San Francisco: Harper Publishers. Richey, R. C., Fields, D. C., & Foxon, M. (2001). Instructional design competencies: The standards. Syracuse, NY: ERIC Clearinghouse on Information and Technology. 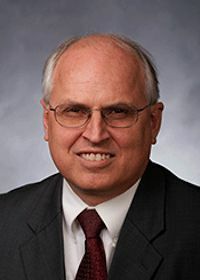 Dr. Russell T. Osguthorpe is a past director of the Center for Teaching and Learning at Brigham Young University (BYU). 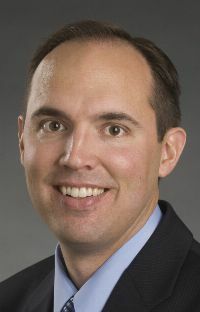 He received his PhD from BYU in instructional psychology. He served on the faculty of the National Technical Institute for the Deaf in Rochester, New York, before joining BYU. 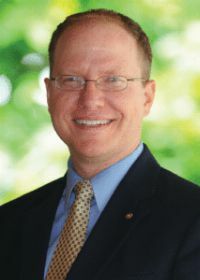 He has authored five books and more than 50 journal articles on instructional design, teacher education, and special education. Dr. Richard Osguthorpe is the dean of the College of Education at Boise State University. 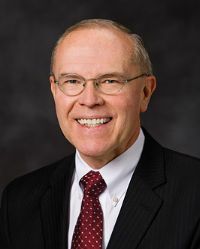 Prior to serving as dean, he was with Boise State for 10 years, serving as the chair of the Department of Curriculum, Instruction, and Foundational Studies for two of those years. He co-edited the book The Moral Work of Teaching and Teacher Education: Preparing and Supporting Practitioners, which was included in The U.K. Times higher education suggested reading list for 2013. Dr. W. James Jacob is the director of the Institute for International Studies in Education at the University of Pittsburgh, and he serves as an associate professor in their School of Education. His primary focus is to further comparative, international, and development education (CIDE) initiatives. He is the author of several books related to CIDE, and he is the co-editor of two book series concerning CIDE.